The ceremony was held in a beautiful white chapel that was the perfect backdrop for simple flower arrangements, like the urns filled with Lisianthus and Stock. 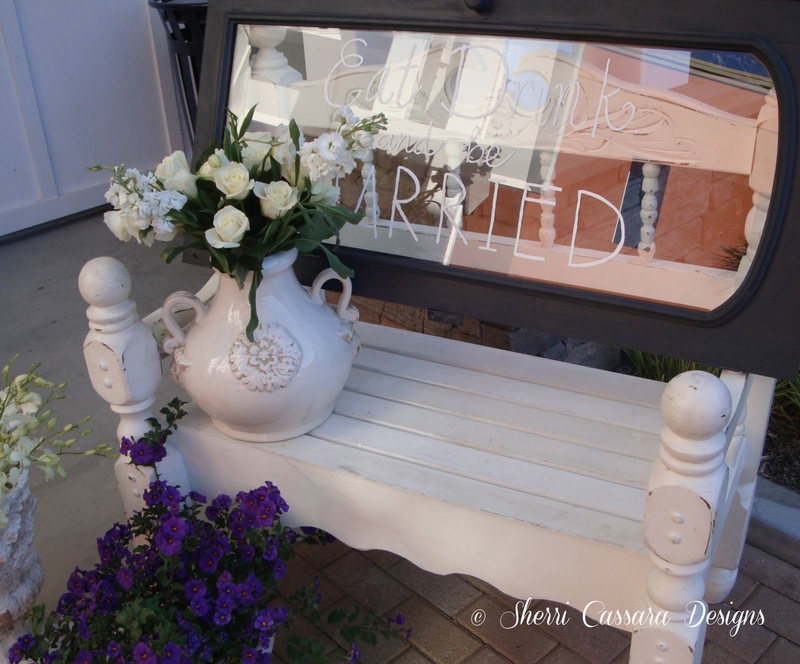 We bring a lot of furniture and decor to our weddings and setting up can be quite time consuming. For this wedding, the ceremony started at 4:00 and we could not start setting up the reception until 4:00 (there was a event prior to ours). We knew the guests would be arriving at the reception venue for cocktails as soon as the wedding was over and for obvious reasons, we could not remove the flowers from the wedding chapel until all the guests were gone. 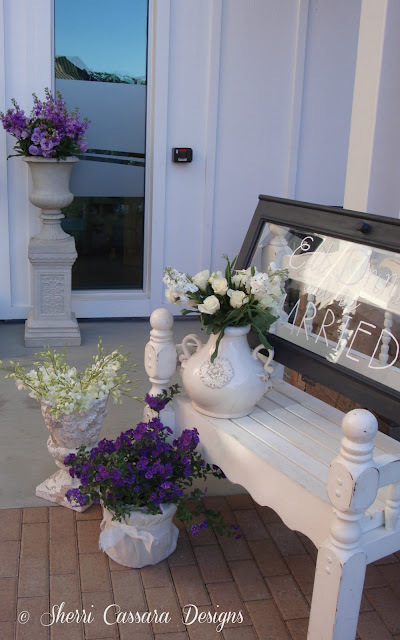 It didn't seem possible to use the same flowers for both venues, at least not at the country club entrance and staircase that the guests would see when they first arrived. And so when we were planning the flower arrangements we told the client we would need to purchase enough flowers for each venue. 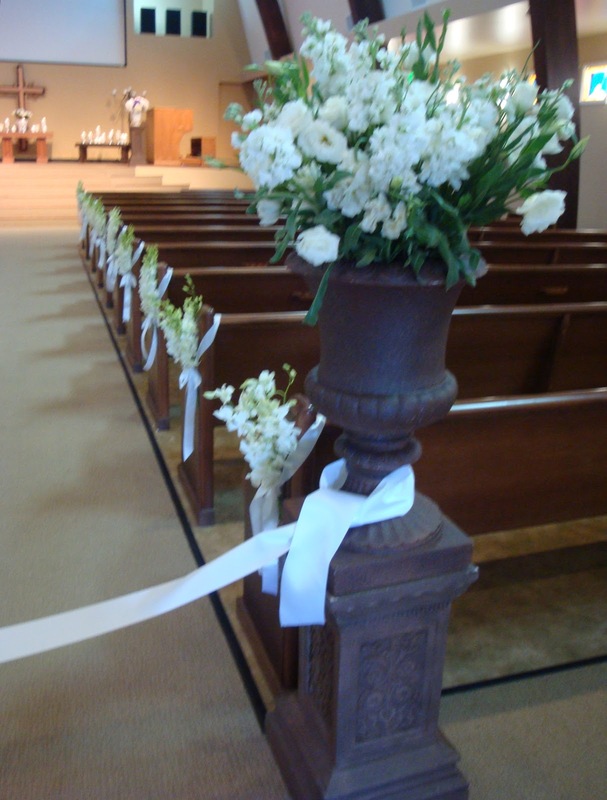 It was not logistically possible to get the flowers from the chapel to the reception before the guests arrived. I gave the bride and her mother a "ballpark" flower budget based on the last three weddings we styled. But when we got to the flower mart, we quickly discovered that SUMMER FLOWER PRICES ARE NOT THE SAME AS WINTER PRICES. Summer flower prices are lower than the rest of the year, something I did not know. Hydrangeas which just a month ago were $1 a stem are now $2 a stem. Twice the price. And so with my flower budget cut in half I had to re-group and make some adjustments in both the kind of flowers I purchased and also how and where we would use them. Instead of using bunches of Hydrangea like I had planned, the large urns for the ceremony were filled with bunches of Lisianthus and Stock which were quite a bit less expensive. Stock is a very inexpensive flower that comes in several beautiful colors and when fresh, they give off a lovely clove-like scent. But their "shelf" life is very short and you have to change the water often as it can get quite smelly so they are not always ideal to use for a wedding. Luckily these were as fresh as could be and worked perfectly. 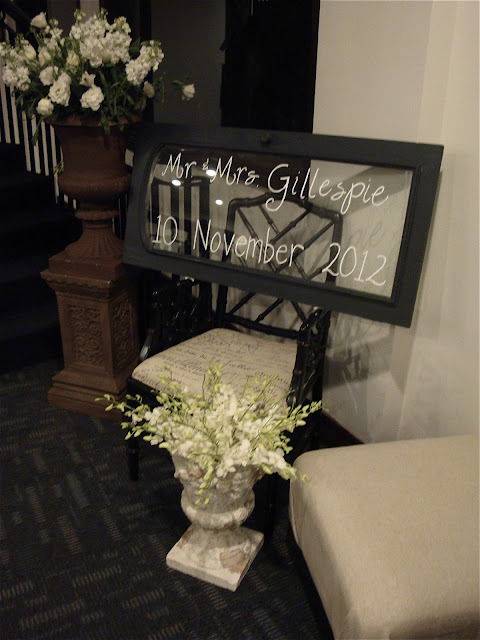 Just inside the entry doors was a small foyer and behind the doors a charming chapel with beautiful wooden pews. 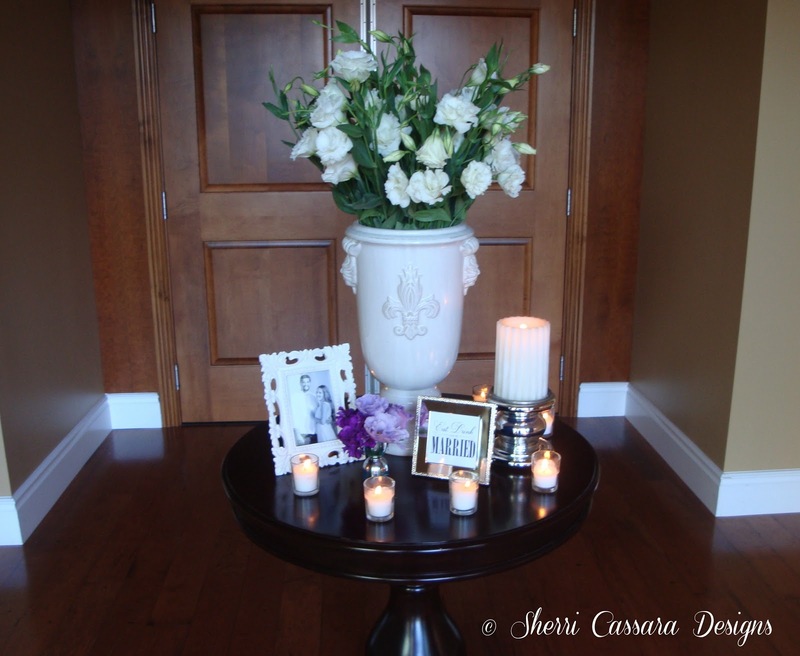 A large ceramic urn with white Lisianthus greeted the guests. 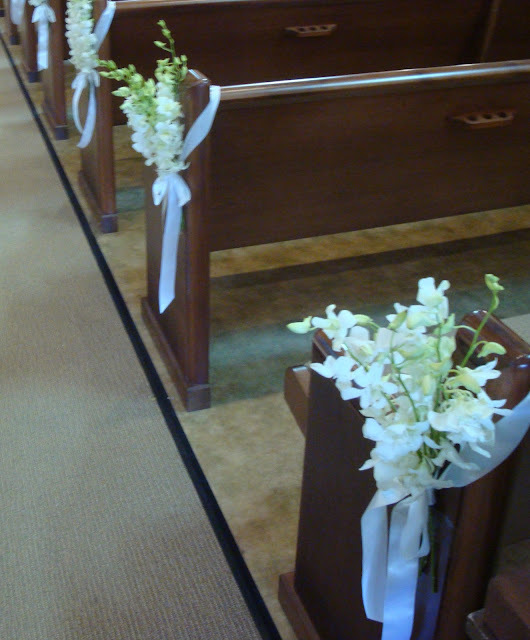 We placed white orchids on both sides of the aisle. The orchids came with floral water tubes on each stem which we left on until an hour before the ceremony to keep the flowers as fresh as possible. 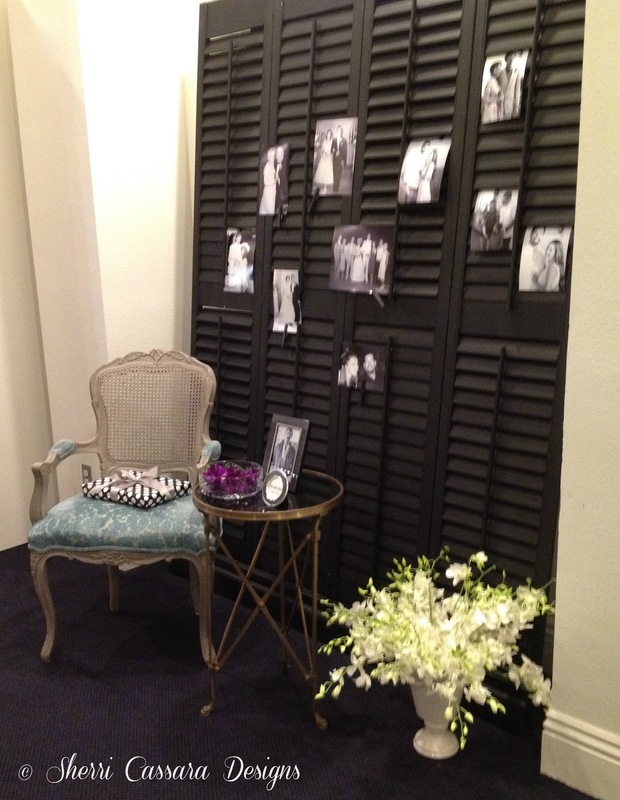 We would be using these same flowers later at the reception to line the winding staircase leading to the ballroom. 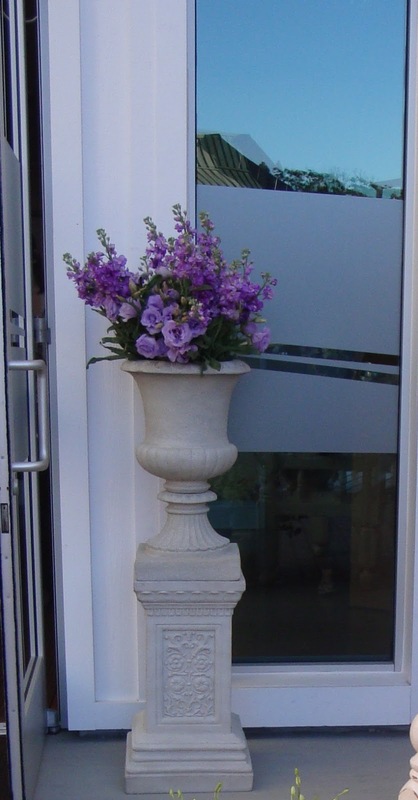 Below you see the same urn from the chapel foyer on the reception check-in table. How did we do it? We had three separate crew members waiting at the chapel for the wedding to end. One picked up the aisle flowers as soon as the guests walked out and rushed them back to us waiting at the country club. We quickly tied them on the staircase. Another crew member was in charge of just the flowers at the entrance of the church and brought those to us a soon as was possible. Those were placed at the country club entrance minutes before the guests arrived. The final group picked up what was left after the photographer finished taking the photos of the wedding party up in the front of the chapel and brought the last two arrangements to us literally minutes before our deadline. We placed them, took a few photographs and slipped out the back. We left at 6:05. Come back later in the week to see the full wedding post. Happy Monday everyone! Sherri I love how organized you are! Everything looks so beautiful and it's very interesting to hear the details of how you pulled it off. Great job! Looking forward to hearing more about it. Everything looks so nice! I know they were happy! 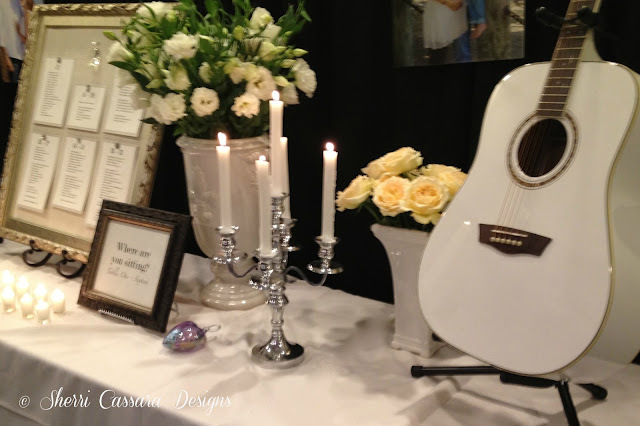 Once again you created another beautiful wedding! The bride and groom must have been over the moon!